Rooms from $75.60 per night. 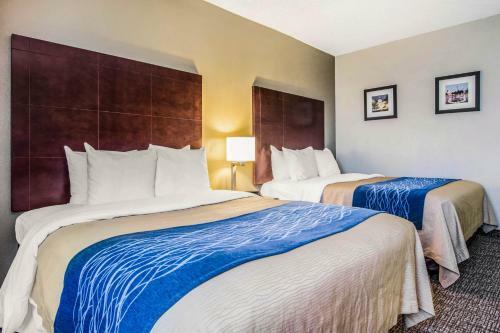 Guests are within easy walking distance to Braves' games and enjoy free breakfast and Wi-Fi at the Comfort Inn Atlanta Downtown South. 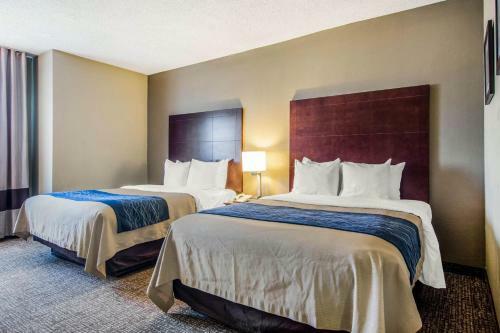 The six-story Comfort Inn has an interior-corridor layout that houses 92 cheerful rooms equipped with complimentary Wi-Fi and comfortable bedding. Non-smoking rooms can be requested. Wake up to a free hot breakfast buffet each morning before heading to the seasonal outdoor seasonal pool and sundeck the business center the gym or the guest laundry facilities. Parking is free. 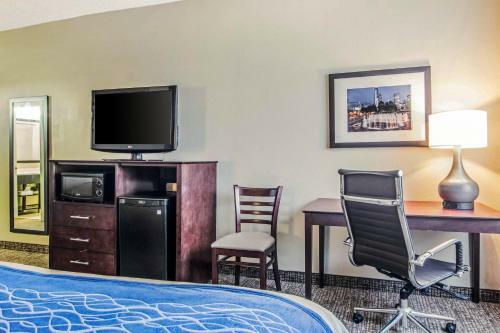 The hotel is a two-minute walk from SunTrust Park and a five-minute drive to so many major downtown Atlanta attractions including Underground Atlanta Georgia State University CNN Center Grant Park and Zoo Atlanta to name a few. The World of Coca-Cola Museum is less than a 10-minute drive and within 20 minutes you and the kids can be whooping it up at Six Flags. Close to the hotel itself are plenty of shops and restaurants including a fan-favorite sports bar one block away. Hartsfield-Jackson Atlanta International Airport is a nine-mile jaunt. 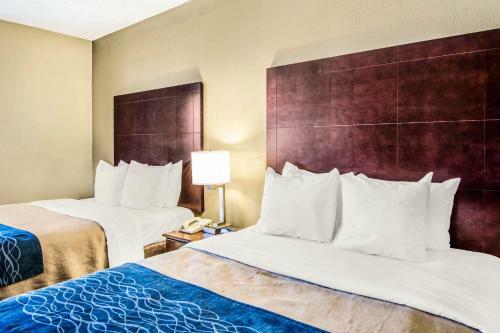 Add Comfort Inn Atlanta Downtown South to your free online travel itinerary.